After eight ties and six lead changes in the first half, No. 1 North Carolina went to the locker room with a 43–38 lead over No. 6 Notre Dame in the East regional final in Philadelphia. The Irish opened the second half with their best basketball of the game, though, capping a 12–0 run with a 52–51 lead with 13 minutes left in the second half. But North Carolina responded with a 12–0 running of its own, and the Irish were never within 12 points in the final five minutes of the game. Junior guard Demetrius Jackson led all scorers with 26 points on 10-of-16 shooting, but it wasn’t enough to get the Irish over the top. Brice Johnson finished the game with 25 points and 12 rebounds, his 23rd double double of the season and third of the NCAA tournament. All five Carolina starters scored in double figures for the second game in a row, and the Tar Heels defeated the Irish, 88–74. On Saturday afternoon, every No. 1 seed entered the Elite Eight feeling confident. Then that night No. 2 Villanova beat No. 1 overall seed Kansas in the South regional final and No. 2 Oklahoma defeated No. 1 Oregon in the West. And on Sunday, No. 10 Syracuse made a shocking second-half comeback to take down No. 1 Virginia in the East. In the course of fewer than 36 hours, UNC has become the last No. 1 alive in the NCAA tournament. And as a result, it will enter the Final Four in Houston as the prohibitive national-title favorites. It’s Carolina’s first appearance in the Final Four since 2009, when the Tar Heels won the most recent of their five NCAA tournament championships. And it may be UNC’s best chance to win a title in the next few years, given the looming cloud of NCAA sanctions for academic misconduct across sports programs. But North Carolina’s path to a title looks favorable, starting with Syracuse, a team it has beaten twice this season, in the Final Four. This will be North Carolina coach Roy Williams’s eighth appearance in the national semifinals, and he has won two national championships—each with the Tar Heels. The Tar Heels will face another ACC foe, Syracuse, at 8:49 p.m. ET on Saturday in the Final Four in Houston. 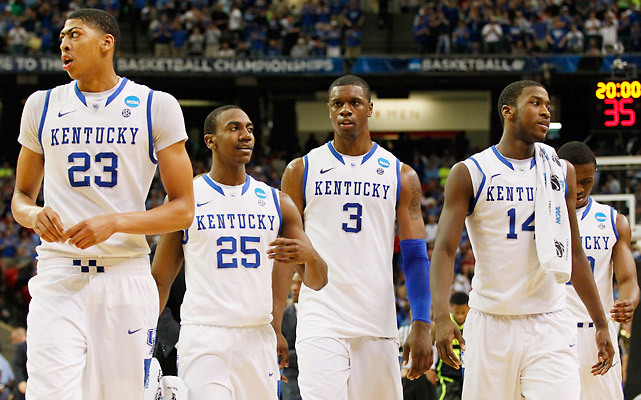 This year marks the 15th time the Final Four will feature exactly one No. 1 seed (North Carolina). Here's a look at how the previous lone No. 1s fared, including seven who won the national championship. 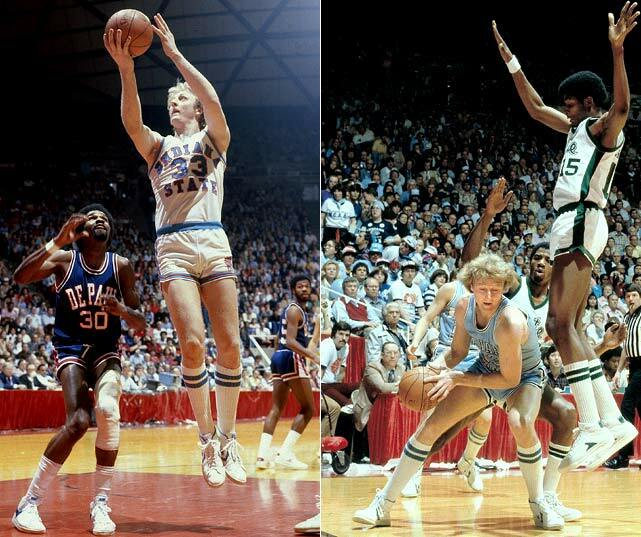 Led by National Player of the Year and future Celtic Hall of Famer Larry Bird, Indiana State entered the 1979 Final Four with an undefeated record. But after edging out DePaul in the tournament semifinals (far left), the Sycamores fell to Michigan State and Earvin "Magic" Johnson in front of an estimated TV audience of 20 million. 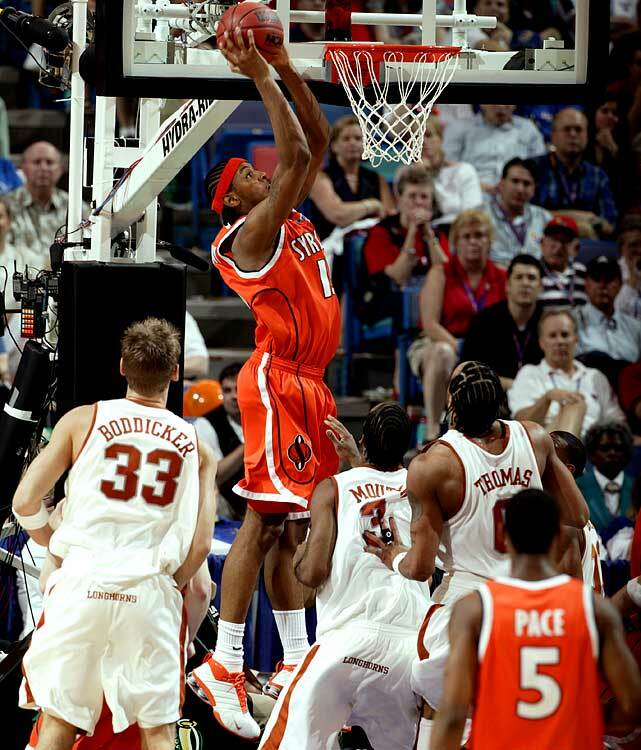 Despite being nicknamed the "Flying Illini" for their overwhelming athleticism, boasting NBA-level talent with the likes of Nick Anderson and Kendall Gill, and having defeated their national semifinal opponent twice during the regular season, Illinois lost to Michigan, the tournament's eventual champion. The semifinal featured 33 lead changes and ended on a put-back by Michigan's Sean Higgins that sealed the Illini's two-point loss. Jerry Tarkanian's Runnin' Rebels were an offensive juggernaut. In their semifinal, the Rebels rallied from a seven-point halftime deficit to defeat Georgia Tech 90-81, setting up a title tilt with Duke. The championship game went down as the most lopsided ever in a tournament final, with UNLV crushing Duke 103-73. 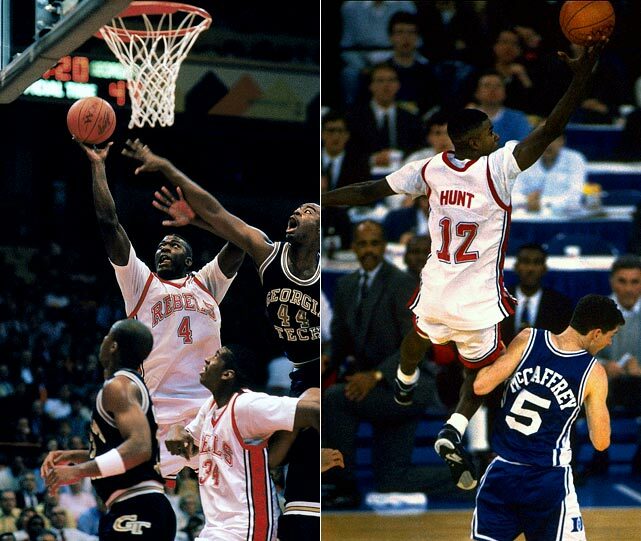 Future NBA #1 pick Larry Johnson scored 22 points, while tournament MOP Anderson Hunt poured in 29 to lead all scorers. In a tournament best remembered for Duke's improbable Regional Final win over Kentucky thanks to Christian Laettner's last-second turn-around jumper, Duke reached the Final Four as the lone No. 1 seed still alive. Coach K's team cruised to victories over Indiana and Michigan to win their second straight national title. 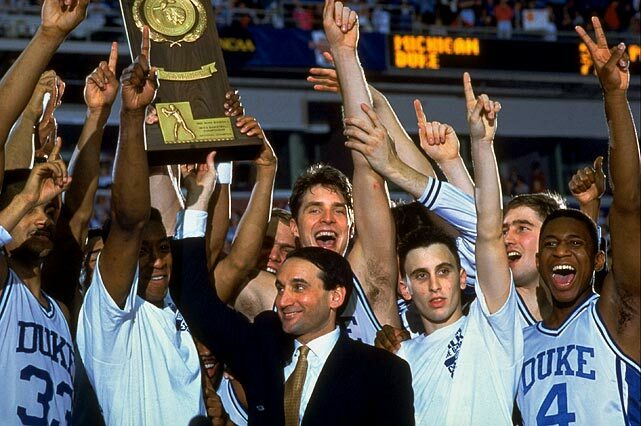 Bobby Hurley was named the tournament's Most Outstanding Player, while Laettner led the tournament in scoring. 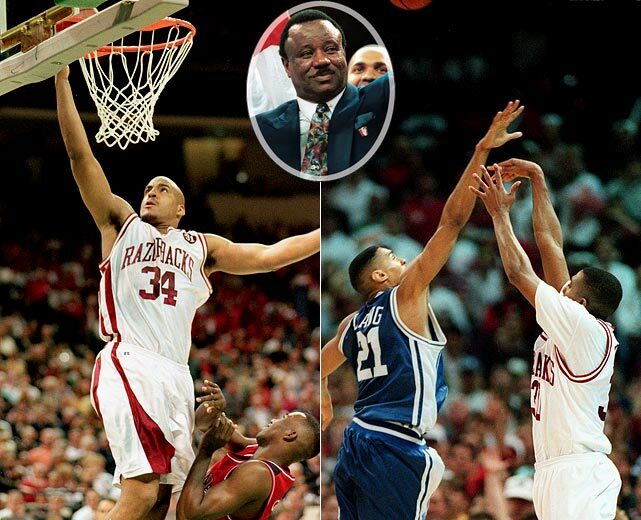 Corliss Williamson scored 29 points and grabbed 13 rebounds in Arkansas' semifinal win over Arizona to lead the Razorbacks to their first national title game, despite criticism that coach Nolan Richardson's team was too raw and undisciplined. Razorback guard Scotty Thurman drilled a three-pointer with under a minute left in the finale against Duke to seal the first NCAA tournament title for Arkansas. 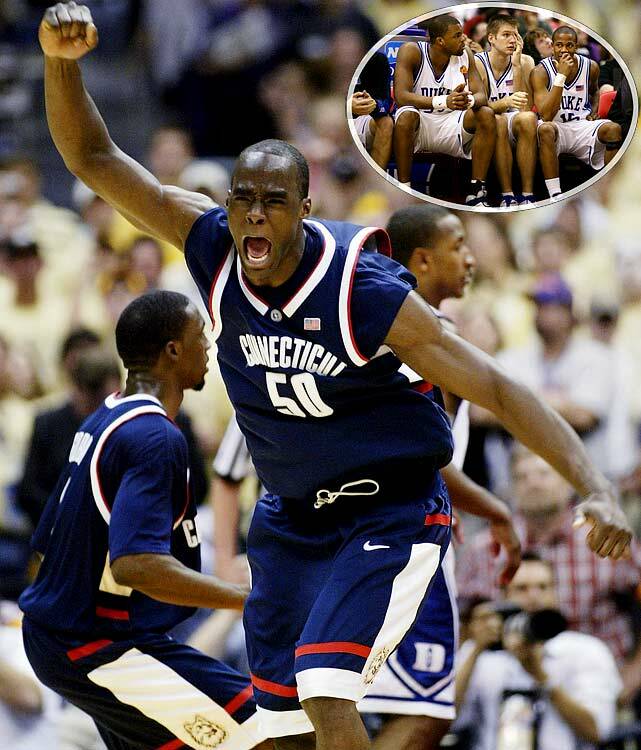 Riding the late-game heroics of pint-sized guard Tyus Edney from earlier in the tournament, the Bruins were the lone No. 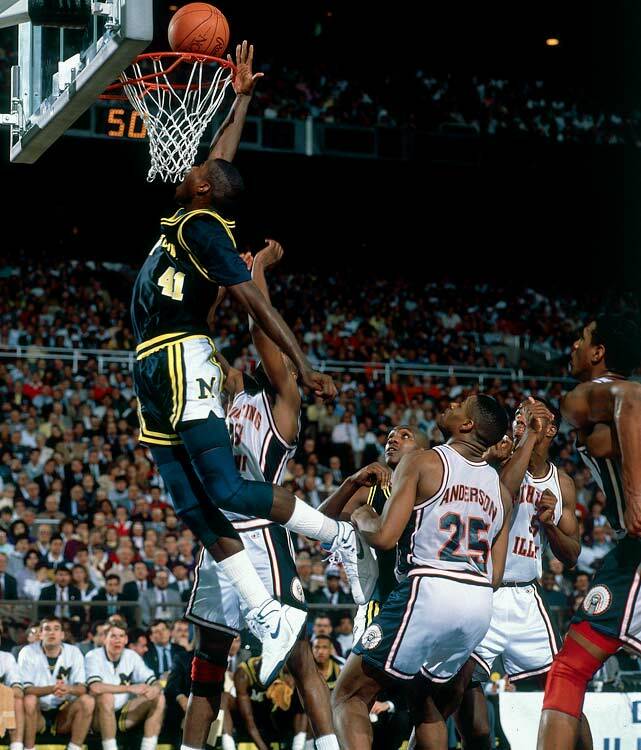 1 to reach the '95 Final Four in Seattle. After leaving Oklahoma State in the dust behind 21 from Edney, UCLA squared off against defending champion Arkansas in the tournament final. 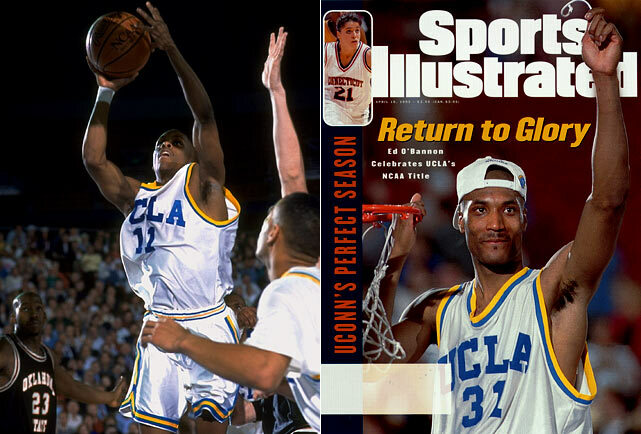 Forward Ed O'Bannon went off, finishing with 30 points and 17 boards to lead UCLA to its first national championship in the post-John Wooden era. Despite boasting a lineup chalk full of NBA talent, including an intimidating front line of Vince Carter, Antawn Jamison, and Brendan Haywood, the Tar Heels lost 65-69 to Utah in the semifinals. 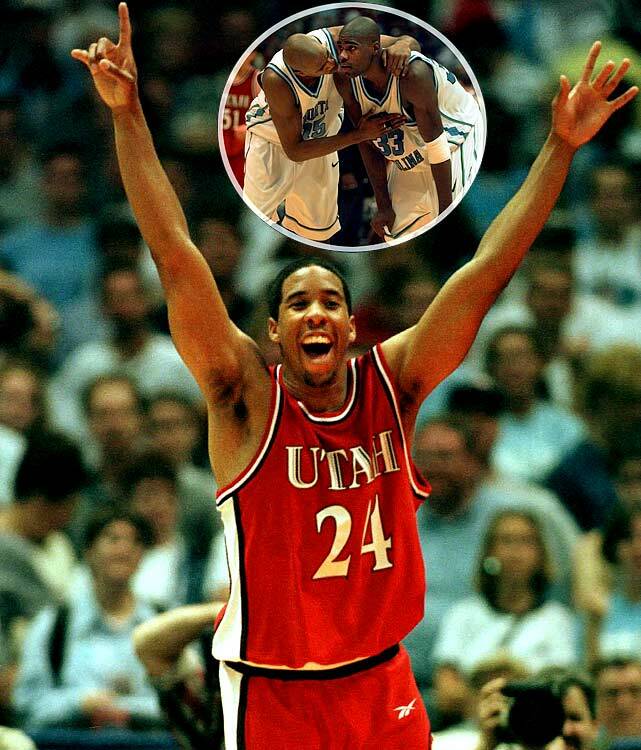 Andre Miller and Michael Doleac chipped in 16 points apiece for the Utes, who would go on to lose to Kentucky in the title game. 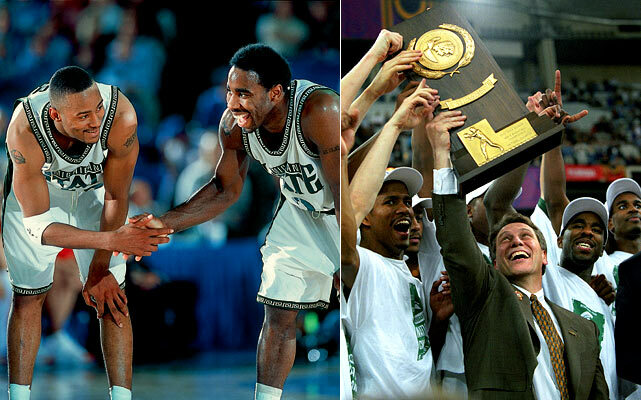 The self-proclaimed "Flint-stones" of Michigan State roared into the 2000 Final Four having won three of their first four tournament games by double digits. The Spartans clashed with Big Ten rival Wisconsin, who surprised the nation by making the semifinals as an 8-seed. But MSU guards Mateen Cleaves and Morris Peterson proved to be too much for the Badgers, and the Spartans marched on to face Florida in the title game. Coach Tom Izzo's team held the Gators down, despite 27 from Florida's Udonis Haslem, and wrapped up a 89-76 championship win. The Longhorns had all the key pieces -- a floor general at point guard (T.J. Ford), a defensive stopper (Royal Ivey), and a prolific scorer (Brandon Mouton). Unfortunately, they did not have Carmelo Anthony. Eventual national champion Syracuse did, and the Orange cut down the final top-seeded team in the semifinals,95-84, thanks to a career-best 33 points from Anthony. For a second straight year, the lone No. 1 seed in the Final Four fell in the semifinals. This time, Duke led eventual champion Connecticut for nearly the entire game, holding the Huskies' do-it-all center Emeka Okafor scoreless in the first half. But Okafor turned it on in the second half, finishing with 18 points and 7 rebounds. Duke star J.J. Redick went just 4-for-12 from the field. Send comments to siwriters@simail.com. Gordon Hayward launched the most famous missed shot in NCAA tournament history in the final seconds of Duke's 61-59 win over Butler in the title game in Indianapolis. His halfcourt heave hit the backboard and rim before falling to the floor -- giving Mike Krzyzewski his fourth national championship. Top-seeded Kentucky won its first four tournament games by at least 10 points, then got past Louisville 69-61 in the national semifinals and dispatched Kansas 67-59 in the final for its eighth national championship. The three other Final Four participants all defeated the top seeds in their regions. 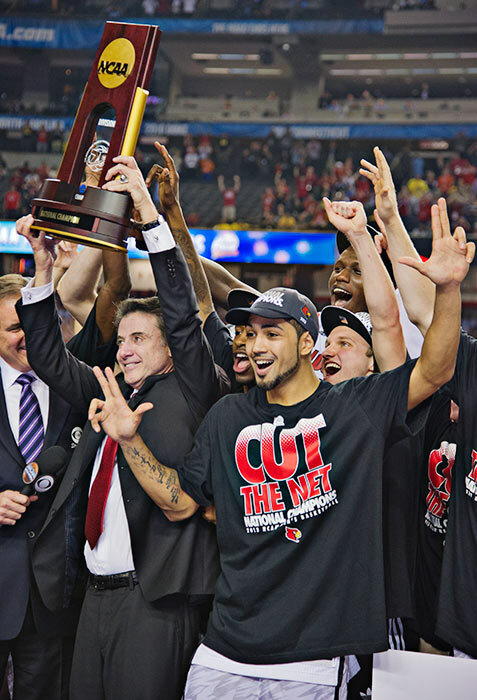 Louisville defeated ninth-seed Wichita State in a semifinal game, then got past Michigan 82-76 to win its first title since 1986. 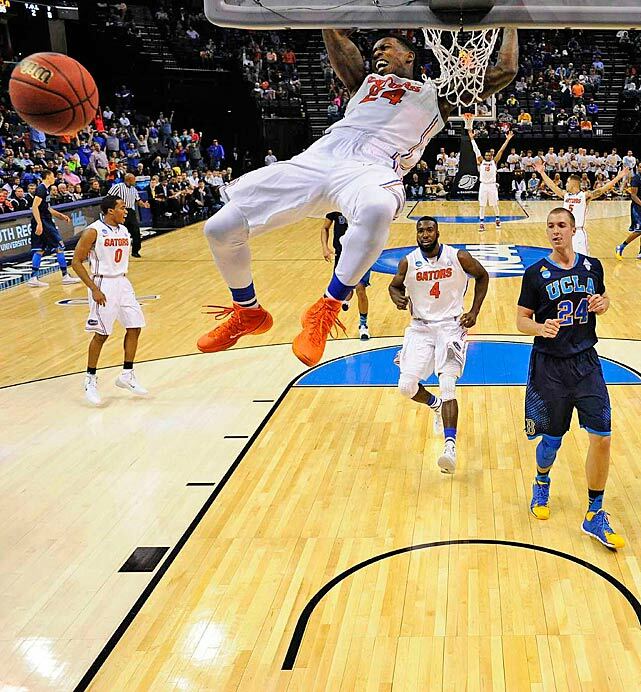 Florida took a 30-game winning streak into its semifinal game against seven seed UConn and lost 63-53. In the other semifinal, eight seed Kentucky defeated two seed Wisconsin 74-73 and then lost to Connecticut in the championship game, 60-54. UNC defeated the Orange in both of the team’s meetings this season.